Requires : Morphs ++, Ethnic Faces for M4 and Creature Creator Morphs for M4...For the Character Morphs to work correctly !! 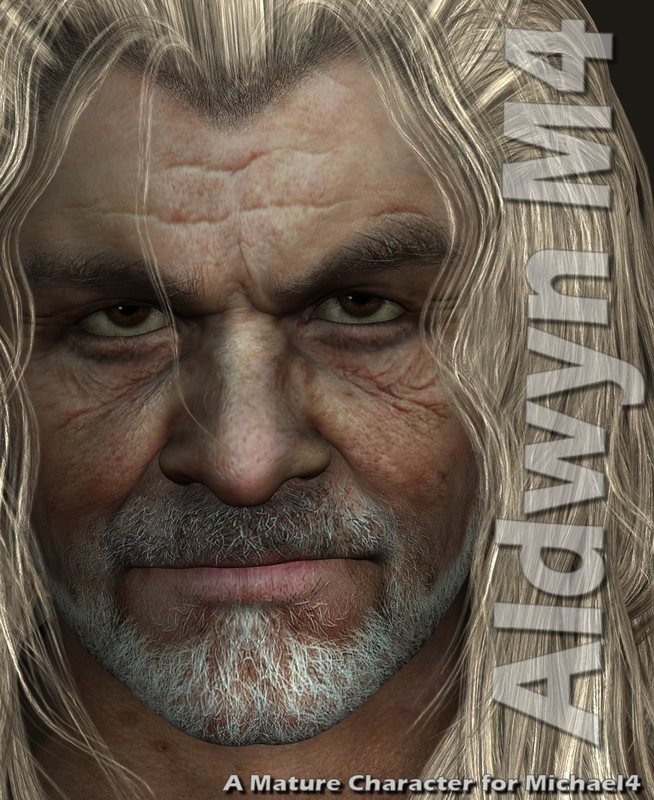 meaning of the name Aldwyn is: From the Old English Ealdwine meaning for old friend. A common name in the Middle Ages.Wise friend. This product works in Daz Studio straight out the box,but for users who prefer Iray or specific Skin shaders you will have to make alterations yourselves.